I’m weird. No comments from the peanut gallery please. 😉 Seriously, I’m a bit peculiar. On every right brain/left brain test I’ve ever taken, I am a perfect 50/50 split. I’m creative but logical, scattered yet organized. I guess I’m just a perfectly imperfect, well-organized, fabulously creative mess! It really makes perfect sense in the overall scheme of things. 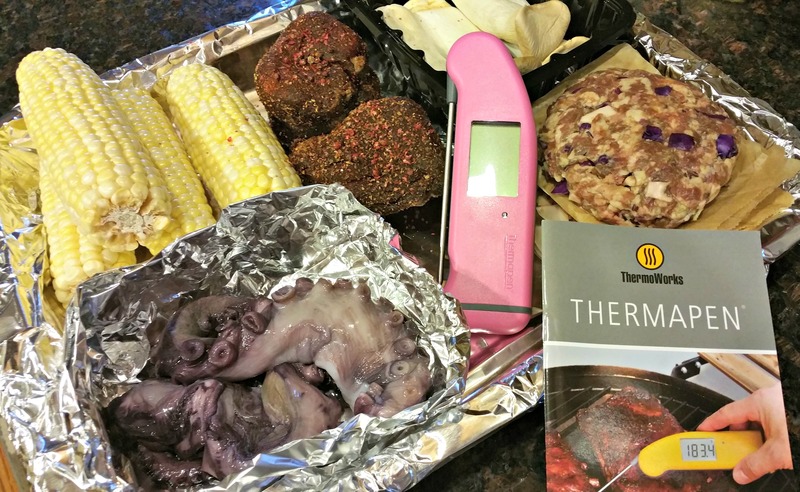 I use my creative flair when conjuring recipes, but I love to use tools like the Thermapen to add accuracy to my dishes. Grilling can be a bit tricky unless you adhere to tried and true internal temperatures and can trust the tool you’re using. 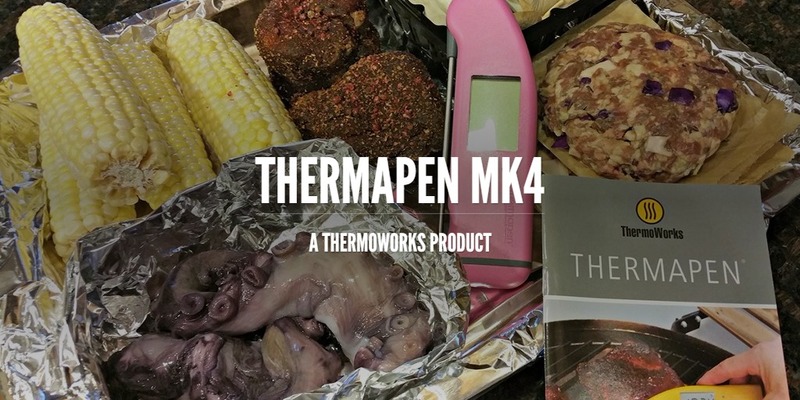 Enter the Thermapen MK4 by ThermoWorks. This is a fantastic tool. It is incredibly accurate which the left side of my brain appreciates, and it comes in HOT PINK which my right brain adores! We had a fantastic experience using this product. BOTH sides of my brain for once are in agreement. Add sliced fennel, butter and bacon juice to skillet. Cook for about 30 minutes over medium heat to allow the fennel to caramelize. Add bacon and remainder of ingredients except fronds. Bring to a boil while stirring frequently, reduce heat to medium low, cover and allow to cook about 1 to 1 1/2 hours or until liquids have been absorbed and marmalade has thickened. Check frequently to prevent burning. Serve with steak, meats or vegetables. This is also a great jam when accompanied with Horseradish Cream. 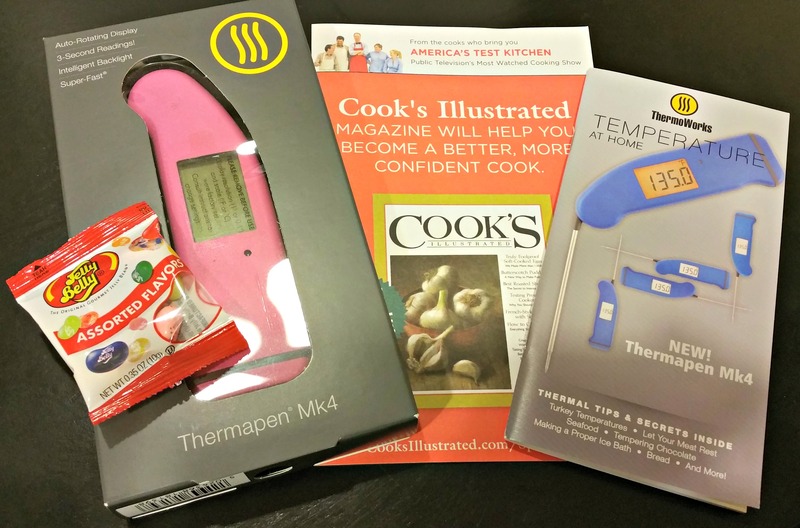 For more information on ThermoWorks and the ThermaPen Mk4, or to request a catalog, visit their website at http://thermoworks.com/. Phones are generally not answered evenings, weekends and U.S. Holidays, though you may leave a message. We will try to answer all email on the same or the next business day. *Thank you to ThermoWorks for providing your amazing product. Although the product was complimentary, all thoughts, opinions, words, over indulging and drooling are strictly my own. 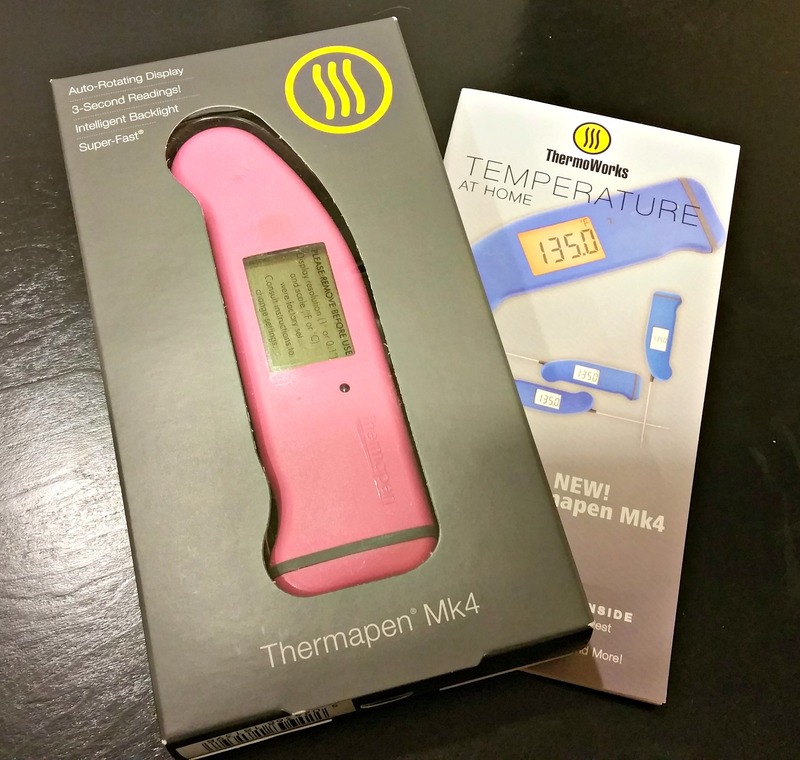 Now I want a Thermapen MK4! 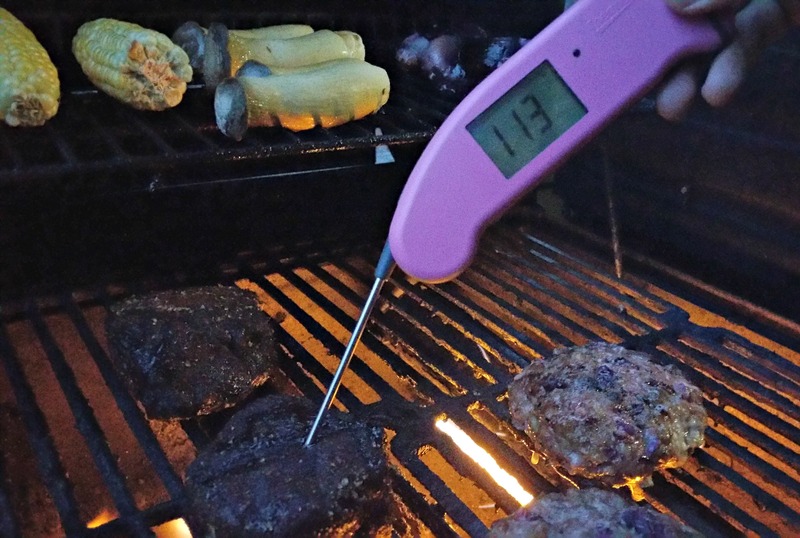 I like this has 100% accuracy, a lot of meat thermometers don’t; and I LOVE it comes in pink! 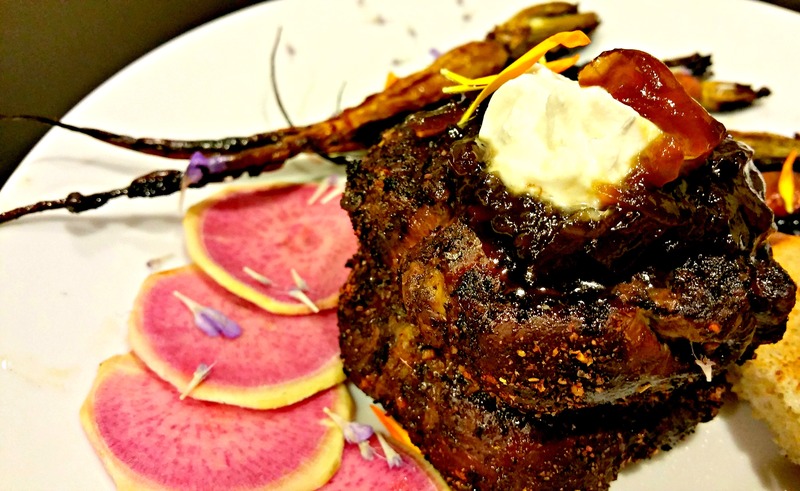 AND that Herbed Crusted Filet Mignon with Bacon & Roasted Fennel Marmalade! I never would have thought to combine those flavors for marmalade. I can’t wait to try this!